Designed to take you through the whole year, this stylish jacket is not only right on trend but is warm and practical. Stylishly cut, it is slightly fitted for a flattering shape. 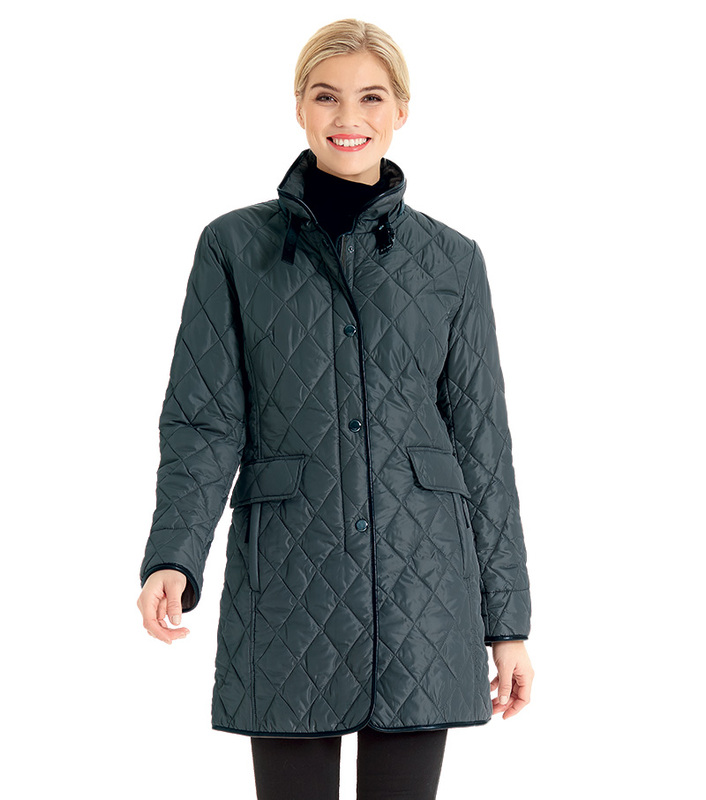 Lightweight, with an attractive diamond quilted fabric, slightly padded to trap the warm air in and keep the cold air out. Exquisite details include a mandarin collar, faux leather trims, 2 zipped hip pockets plus 2 internal pockets, full zip with storm flap and poppers. Layer over just about anything from casual, office or partywear. A timeless classic that will become a firm wardrobe favourite. 100% polyester.